Evolve is a marketing agency that tries to perfect the mix of strategy and productivity, instincts and data, and conventional and digital to help our clients grow their businesses. Evolve has been an entity since 2012 but started out trading as ‘Evoluu ZA’ before rebranding in 2017. Evoluu ZA functioned as the studio for Evoluu UK, which was headed up by a business partner. 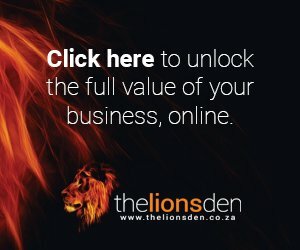 After specialising in healthcare technology marketing for US and UK-based clients for 7 years, I wanted to ‘un-niche’ ourselves to work with a wider variety of South African businesses. In 2017 we became Evolve, an evolution of the name Evoluu and representative of the agency we were becoming. For the last year, we’ve been working on building a local client base and have worked with 18 new clients across numerous sectors on their social media, websites, UX, PR, email marketing, branding and content. Evolve is headed by myself with the help if two designers/developers and two content team members. There are a few things that set us apart, mostly the fact that we’re really good strategists who are also really productive at delivering high quality, high value work for our clients. I’m proud of how far we’ve come and looking forward to where we are headed in 2019. This year I invested in up-skilling two team members and next year, I would like to do the same with the other two team members. I’d also like to allocate some money to a marketing budget to carry out the marketing plan I develop with a coach.